Livestreaming TV brings you all your favorite cable channels without demanding commitment. There aren’t quite as many streaming TV providers as there are cable companies, but even seven big names is a lot to choose from. Don’t fret—we’ll help you find the best streaming service with a little help from our friends. With some assistance from Pollfish, we asked 1,400 live TV streaming customers about their experience. That’s 200 participants from each service. Spoiler alert: our participants turned out to be big fans of streaming TV. Lastly, a quick note on ties: we round star ratings to the hundredth decimal place for easy viewing, but we rank ties by the thousandth decimal place first, followed by alphabetical listing. 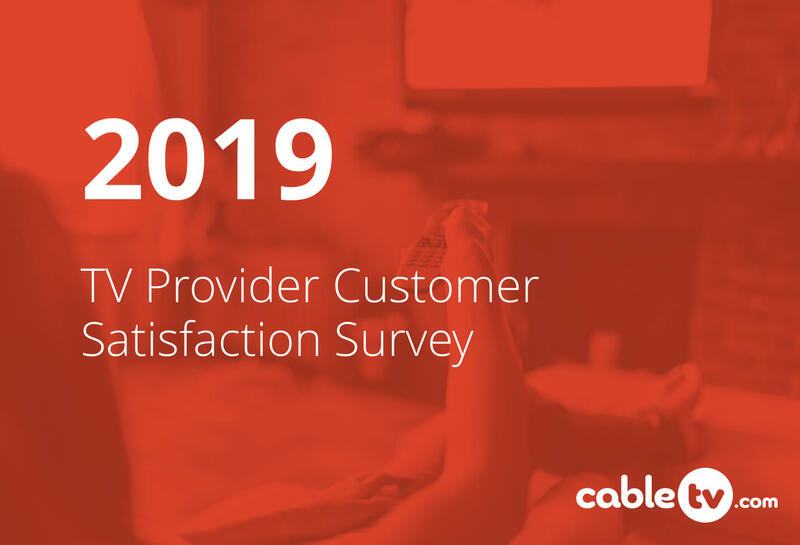 Conducting customer satisfaction surveys is old hat here at CableTV.com. But streaming TV comes with different priorities than traditional TV, so this survey’s questions cut straight to what TV streamers want to know. How satisfied are you with your streaming service’s channel offering? How satisfied are you with your streaming service’s local channel selection? Do you pay for any add-on channels or packs with your streaming service? How satisfied are you with the streaming quality of live TV on your streaming service? How satisfied are you with the reliability of your streaming service (e.g., buffering, frozen shows, loading failures, etc.)? How satisfied are you with your streaming service’s user experience (e.g., on-screen channel guide, on-demand menu, suggested content, etc.)? Do you have your streaming service’s cloud DVR? In your experience, rate your streaming service’s overall value. What device(s) do you use to stream on the most? Not everyone wants to read a 3,000-word survey report. We got you. The big takeaway is customers of Hulu + Live TV love it. High-quality HD (1080p) on live TV—bless our stars and garters! We swoon. Sure, Hulu + Live TV’s channel count is tiny compared to Sling TV’s 250+ available channels, but we like to think it trimmed the fat. And its DVR still has some bugs, but the customers who use it seem to like it. If you’re sold on Hulu + Live TV, you can start with a free seven-day trial. If not, that’s okay! We have so many more customer satisfaction categories to cover. Philo still got over four stars, and we think that’s pretty great. Unfortunately, it lags behind other streaming services in every category. Sore spots include a lack of add-ons and local channels. Philo has only 49 channels available, so it could use some bulking up. It also doesn’t offer sports channels, which may be a deal breaker for some. At least customers use its included cloud DVR, even if they’re not fans of it storing things for only 30 days. Sorry, Philo. Better luck next year. Hulu + Live TV scored first place for channel offerings with one channel package and minimum add-ons. This straightforward approach hits all the right buttons if you’ve had it with cable TV’s complicated packages and pricing. PlayStation Vue has four packages and nearly double the available channels as Hulu + Live TV. If you’re a sports fan, you might want to check out their $10 sports pack for access to great games. We’re not personally fans of Sling’s complicated à la carte style—we worry customers may end up paying more in the long run—but if you want specific genres and you’re willing to pay for them, Sling will take care of you. CableTV.com expert tip: Always check your lineups. When you’re switching from cable, look for streaming services that offer all your favorite channels. Don’t be the die-hard sports fan who signs up for fuboTV without realizing it doesn’t offer ESPN. To be honest, we were pretty surprised by the results in this category. Well, not by Hulu + Live TV. Hulu + Live TV has a superb local channel lineup. But YouTube TV placing second to last made us put our hands over our hearts in shock. Google has been rolling YouTube TV out slowly, making sure to get the four major local channels (ABC, CBS, FOX, and NBC) in almost every market. Okay, DIRECTV NOW keeps good pace with Hulu + Live TV and YouTube TV when it comes to local channels, sure. But Sling? In our experience, Sling’s local channel lineups are tiny. They often include only FOX. How are you supposed to watch Good Morning America with only FOX? You can’t! What is even the point of TV without Good Morning America? CableTV.com expert tip: If all else fails, get an OTA antenna. Ideally your livestreaming TV service will offer all your local channels, but sometimes a few slip through the cracks. With an over-the-air TV antenna, you can catch locally broadcast channels without monthly payments. Our “What is OTA TV?” article can get you started. Do you pay for any add-on channels or packs with your streaming service? / How satisfied are you with your streaming service’s add-on channel options? Because Sling bases its shtick on letting you choose extra channels you want, it’s no surprise it ended up in first here. Sling TV base packages give you only up to 48 channels, but with add-ons you can get up to 266 channels. Only multi-trillionaires sign up for all 266 channels, of course. The rest of us are happy with add-ons we’ll actually watch. 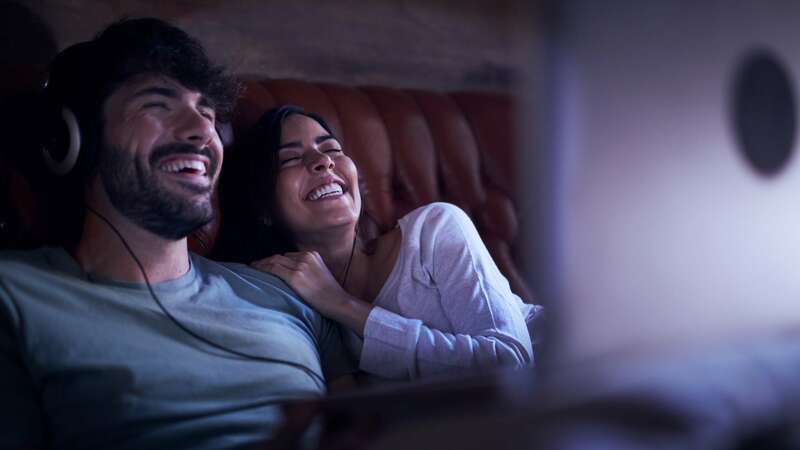 As far as the other streaming providers go, fuboTV includes lots of packs for more sports and languages, while DIRECTV NOW keeps things straightforward with one sports pack, one Spanish pack, and plenty of reasonably priced premium channels like HBO®. Only 28% of YouTube TV users have add-ons, but that 28% appreciate what they get. Maybe they really like CuriosityStream, or they don’t realize they can get SHOWTIME and STARZ cheaper from DIRECTV NOW or Sling TV. Or maybe the secret to high satisfaction with add-ons is FOX Soccer Plus. YouTube TV, PlayStation Vue, and fuboTV are the only streaming providers to offer that channel. CableTV.com expert tip: Keep an eye on those add-on costs. Streaming TV packages look incredibly affordable next to cable TV offerings. But if you have to supplement the basics with even a few add-ons, the numbers add up fast. Try comparing channel lineups and costs from multiple streaming packages to make sure you’re getting the best deal. Most providers offer live TV with DVD quality HD (720p). Only Hulu + Live TV offers livestreaming in Full HD (1080p). And if you want to get the full effect of Westeros when season 8 of Game of Thrones premieres this year, you shouldn’t settle for anything less. Maybe we’re just TV snobs. But we’re TV snobs for you. Still, even if PlayStation Vue and DIRECTV NOW don’t offer that crystal-clear picture, their customers are fans of the streaming quality they’re getting. CableTV.com expert tip: Your TV may be making your picture worse. When you’re watching on a tablet, laptop, or phone, 720p will look great. But if you’re streaming on a large TV, you’ll probably recognize the picture is fuzzier than usual. If this is a problem for you, you may want to switch to Hulu + Live TV for the best picture. And if you have an old TV, upgrade to a new TV with better image resolution. We’ve got some recommendations for you. Reliability isn’t something you think about until your favorite show freezes just as the villain reveals their evil scheme. In a perfect world, you wouldn’t have to think about it at all. If you want to avoid frozen shows, buffering, and loading failures, customers recommend getting PlayStation Vue, Hulu + Live TV, or DIRECTV NOW. Streaming TV with Wi-Fi is super convenient. But if it’s game day and you’re missing the best plays because of buffering, take the ole ethernet cable off the bench. 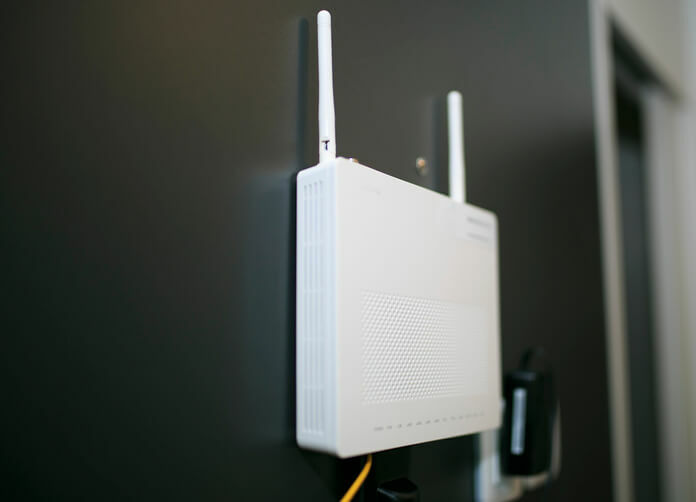 An ethernet cable will improve your device’s internet connection. Check out our guide to TV ports to learn more. We gotta say, though we love Hulu + Live TV, we’re surprised it topped this section. While fans or regular Hulu might appreciate its similar interface, we don’t like how hard it is to find the live channel guide. And sometimes when we’re taking a few months to get through a TV series, the interface buries it under new suggested titles. But even this is a lot better than last years’ Hulu + Live TV Beta. Hulu listened to users problems with the guide back then, so it may keep working to make its interface even better. PlayStation Vue’s isn’t the most intuitive either, but at least it hasn’t hidden Boy Meets World when we’re in the middle of watching it. The college years are an essential part of the saga, Hulu! As for Sling, its interface changes a bit between devices. But we like how easy it always is to switch from your favorite shows to on-demand programming, live TV, or rentals. CableTV.com expert tip: Experience the user interface for yourself. On user experience, we disagreed with the survey participants, and you might disagree with us both. Luckily, streaming TV providers let you try them out—usually over a seven-day free trial. That’s a good window to figure out if you like the user interface. Do you use your streaming service’s cloud DVR? / How satisfied are you with your streaming service’s cloud DVR? Philo, DIRECTV NOW, and fuboTV all include a cloud DVR with your subscription. But even with these top three providers, lots of users don’t even touch it. Maybe Netflix trained people to trust on-demand shows instead of taking the reins and recording their favorite shows. We’re pro-DVR ourselves. Give it a shot in case the on-demand section of your service doesn’t catch them all. Both PlayStation Vue and YouTube TV come with unlimited DVR hours for free. That’s a pretty sweet deal, but your recordings come with a different kind of limit—PlayStation Vue lets you keep a recording for 28 days, while YouTube TV holds onto it for nine months. We’re not insisting YouTube TV should have scored higher here, but nine months is longer than 28 days. Meanwhile, Hulu’s included cloud DVR lets you store up to 50 hours of programming. It even offers a binge-friendly upgrade to 200 hours for $14.99 per month. That’s not chump change, but it’s still less than leasing a DVR from most cable providers. And while Sling’s DVR isn’t free, its 50-hour cloud DVR will cost you only $5 per month. CableTV.com expert tip: The cloud is everywhere and nowhere. Unlike DVR equipment you’d get from a cable TV provider, cloud DVRs aren’t physical devices. Instead, your recordings are stored in your streaming provider’s database. Save a show or series to your cloud DVR, and you can watch and rewatch it after it airs as long as you have the recording. Some providers will even let you stream your DVR shows from anywhere you have internet access. You already know how Hulu + Live TV makes our hearts go boom boom. With 59 channels, a huge on-demand library, and a DVR all starting at $39.99 per month, it’s a sweet deal. If you’re looking for a wider variety of channels, PlayStation Vue offers four different packages with up to 92 channels. Most come with a higher price per channel than Hulu, but the Elite package is an excellent deal with 89 channels at $59.99 per month. And while Hulu + Live TV works on most gaming consoles, PlayStation Vue is the only livestreaming provider available on the PlayStation 3 and 4. If you’re looking for a cheap package, Sling’s start at $25 per month with up to 42 channels. From there, Sling lets you add on channel packs to get all your favorite shows. The à la carte method isn’t for everyone, but if you have only a few specific tastes, it’s a good option. CableTV.com expert tip: You’ve got options. Streaming TV providers aren’t as limited to area as traditional TV providers. That means that if we’ve mentioned a provider here, you probably have access to it. 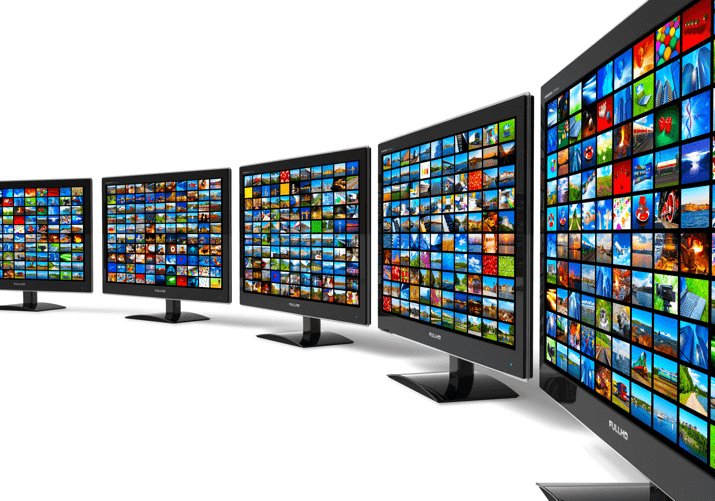 We wouldn’t say that any one provider has perfected the art of streaming live TV. The real value comes from finding a streaming service that prioritizes the features you’re interested in. This question wasn’t so much about customer satisfaction as it was curiosity. We already had the survey participants there, so why not, right? Streaming devices were the most popular way to watch streaming services. They’re an easy way to upgrade any TV to a smart TV. PlayStation Vue users were the most likely to watch with a gaming console. YouTube TV users were the most likely to watch on a computer or laptop, which speaks to its shared name with the go-to social media platform. Philo users were the most likely to watch on their mobile device. Keep in mind that Roku is the only streaming device that’s compatible with Philo. CableTV.com expert tip: Check your provider’s device compatibility. While all streaming TV services are available on your PC and laptop, some don’t work with specific streaming devices, mobile devices, or gaming consoles. Before you sign up, make sure the provider you choose works with the devices you want it to. It’s been exciting to watch streaming TV take off, and we anticipate more growth to come. In the meantime, there’s already a lot of great services to choose from. Treat yourself to a free streaming trial or two this year—or all of them. No one’s stopping you.